Polished concrete is not well known to the general public even though they have seen it and walked on it on a regular basis. What is this polished concrete? Unlike the regular concrete that you see, which is used in building structures; polished concrete is processed using a series of mechanically grinding/ground polishing techniques by using several types of equipment specifically designed for polishing purposes. Various dyes can be used to add color and texture to the polished floors and walls like scoring, creating grids, radial lines, borders,bands and many more such designs. Today, we will concentrate on polished concrete Kansas City and how it benefits you. Before I talk about that, you need to know if the new floors and walls are being polished or the old onesare being re-polished. There are many reasons between the two types and today, we will talk about them. •	New floors usually require lesser work and hence cost less; however, there-polish cost is assessed based on the current condition of the floor or wall. •	Finishing surface needs finishingof a higher standard since it is a new floor or wall,for facilitating the polishing process. In case of re-polish, existing concrete condition plays a big role here and depending on how good or bad it is, you may or may not have toadd a 50mm topping slab on top of your existing slab. Those were the 2-major cost-effective reasons that everyone will think about once or twice before opting for polishing. Now to talk about the benefits you can expect in Kansas City as I have made my research on various service providers to discover them. •	Saves money since traditional floor covering materials are not required when theslab is used as the finished floor surface. •	Polished floors last longer since they are not vulnerable to damage as other materials. •	It won’t accumulate dust, dirt,and allergens making it easy to clean. •	A wide variety of colors and designs to choose from. •	You save money here too since its maintenance is minimal. •	Resistance to high rate traffic since the floors will be effectively used by a larger crowd. •	Resistance to oil spills and even tire tracks from forklift with a longer shelf life. •	Moisture to the ground is much better compared to other flooring solutions. •	High reflectivity will brighten the entire interiors to project a bright, clean and professional image. •	Doesn’t require hazardous chemical coatings, cleaners or adhesives. You need to know the process very well in order to find a local service provider in Kansas City. This is a 3-step process with all the cleaning and polishing of your walls and floors alike. 1. 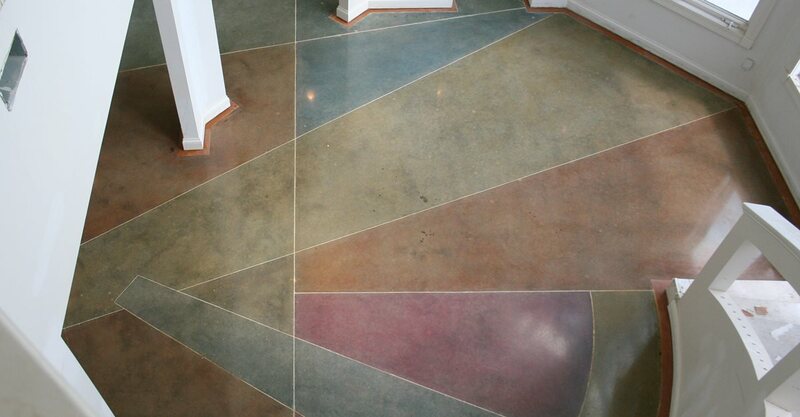 Firstly, the floor made of concrete is cut using a range of diamond abrasives and then, polishing is done dry or wet. 2. A densifier or a hardener is then applied after the concrete has been opened up and is ready to accept the chemical. 3. This densifier is allowed to dry and cure until proper hardness has been achieved and then followed by abrasive cut or cuts. Abrasive cut or cuts are done for refining the floor to the level of your desired reflection. Most of the local vendors follow the same technique and depending on your budget the chemical is chosen. There are 3 types of polishing done and each has its own unique style and appearance. A time consuming yet an elegant and professional look will be the end result. It usually takes 6 to 12 steps minimallyfor thegrinding process to achieve that perfection. This is usually called as the half polish technique since thesurface of the wall or floor isprocessed onlyvia 3 steps of grinding which is short by 3 more steps to a full polish. This is the orthodox method and cannot be considered as a polishing technique. The reason for it to appear here would be it’s the end result. It gives the similar look of a polished floor from the previous techniques. You need to use an additional surface coating or an enhancing sealer to finish the job. Polishing is an art in its own kind, and you need to call the professionals to unveil this art and bring elegance to the place. Hope this article has helped you in guiding through an excellent service provider who can fulfill all your polishing needsand what to expect from him.